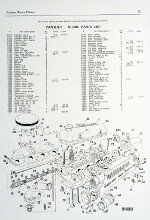 The world's only supplier of manuals and spare parts for Watermota Sea Panther engines. 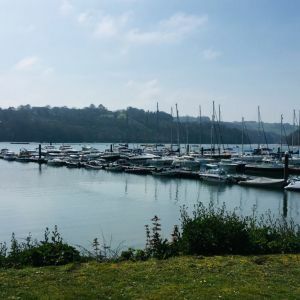 Stephenson Marine are marine engineers based at Noss on dart Marina, near Kingswear and Dartmouth. 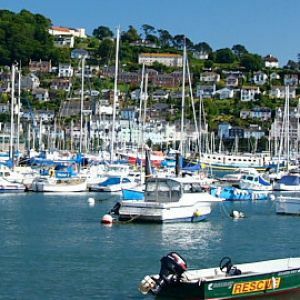 - offering commercial and leisure marine engineering services to customers based on the river Dart and surrounding area. 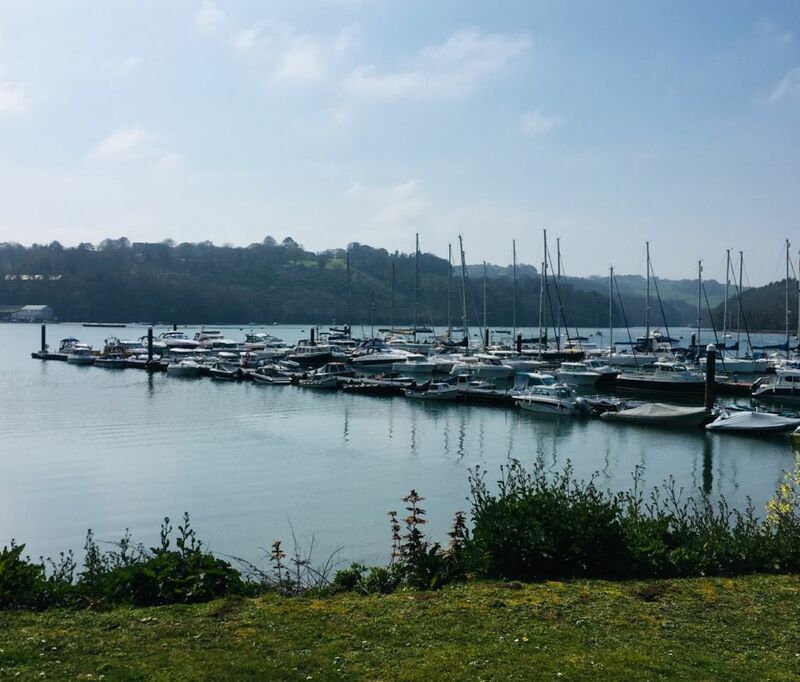 With over 30 years combined marine engineering experience there are few engine/gearbox problems we cannot resolve. 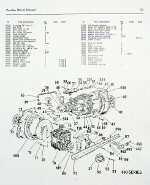 We also are the world's only distributor of manuals and parts for the Watermota Sea Panther engine. 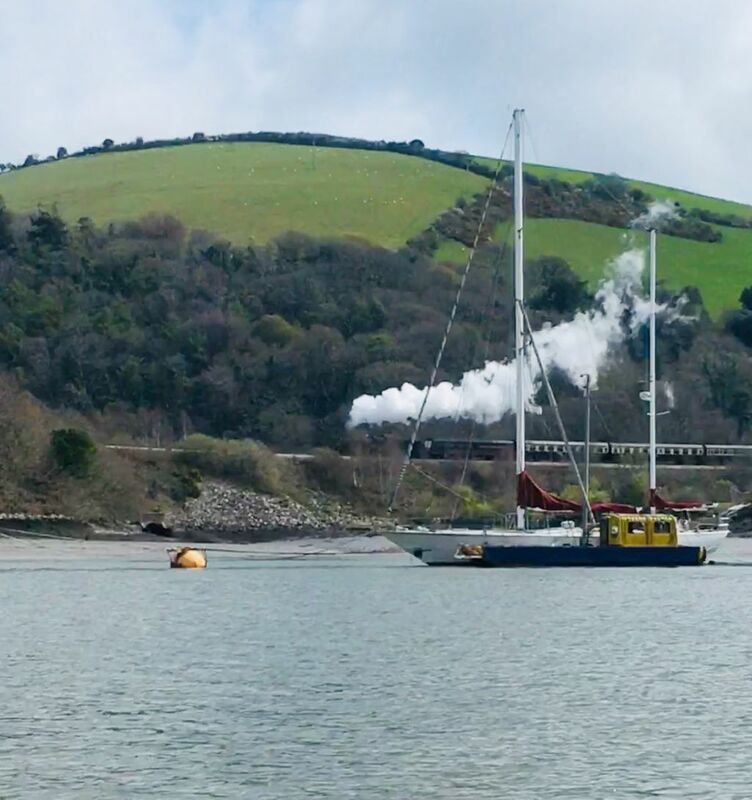 After an unexpected engine failure we flagged down the patroling Stephenson Marine launch. Within 30 minutes our engine problem was diagnosed, fixed, and we were underway again. 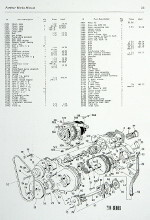 Rob identified and sourced parts for our out of action Watermota Sea Panther, which is now working like a dream. Thanks chaps! 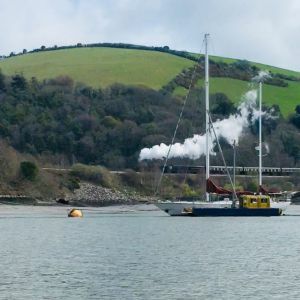 Stephenson Marine has been in existence (at the time of writing) for over 25 years and in that time has become synonymous with Kingswear, Dartmouth and the river Dart. 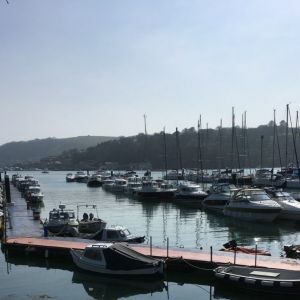 Now run and owned by Rob Hingston, with assistance from Andy who has many years of experience and Poppy the dog - we're standing by to assist you with your marine engineering problems. 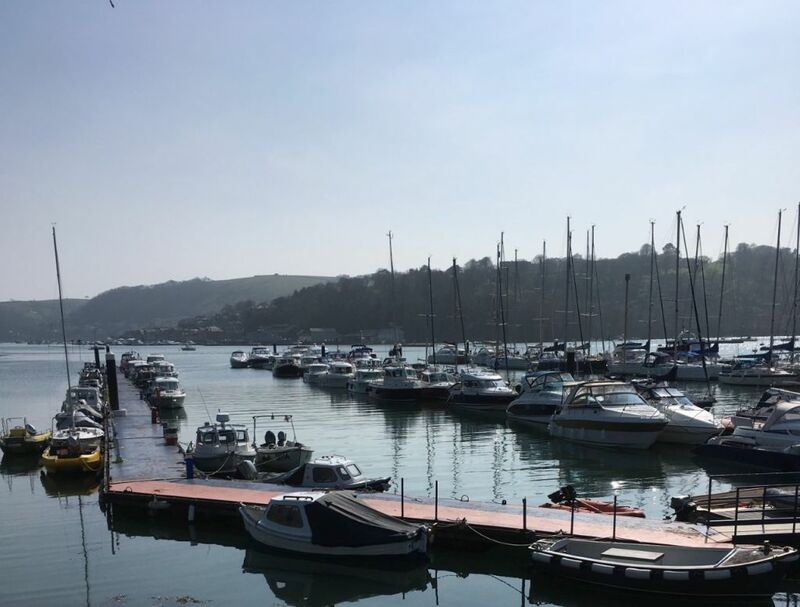 Stephenson Marine are marine engineers based at Noss Marina, Kingswear, Dartmouth, South Devon, offering commercial and leisure marine engineering services to customers based on the river Dart and surrounding area. Also Propellers .Shafts .Outdrives .Engine Re-Powers & Rebuilds . Electrics . Plumbing . 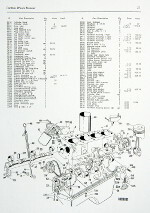 Heating Systems & Generators. Our workshop on the Marina also stocks a supply of antifoul, oil and spare parts. 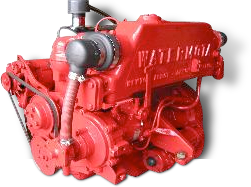 The Watermota Sea Panther engine is a marinised Ford engine used to power marine craft worldwide. They are very sound, safe, reliable engines. 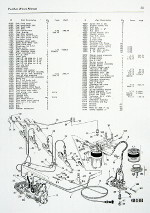 If you require spare parts, we can provide them. Please contact us with your requirements, and let us know if you would also like a copy of the works manual. 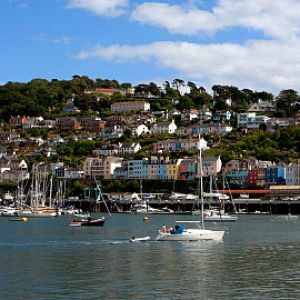 Based in Noss on dart Marina, Bridge road, Kingswear, Dartmouth. Our web services provider Aetherweb Limited collects limited IP address and browser information in order to maintain a secure environment in which to host this website. If you submit contact information, the data you submit will be recorded in server logs for a maximum of 30 days and will also be emailed to us. We use Microsoft (hotmail.com) for email storage and processing. We do not share any information you share with us with third parties at any time. We do not send marketing emails. We take your privacy extremely seriously. Conditions of your use of this web site. Except as stated below, the contents of this web site may not be copied, reproduced, distributed, republished, downloaded, displayed, posted or transmitted in any form or by any means without the prior express written permission of Stephenson Marine. You may not display, distribute or copy any of the contents of the pages contained in this web site to third parties including, but not limited to "caching" any material on this web site for access by third parties and "mirroring" any material on this web site. The information contained in the material in this web site is only for information purposes. The material on this web site does not constitute advice and you should not rely on any material in this web site to make (or refrain from making) any decision or take (or refrain from taking) any action. Stephenson Marine does not make any warranty or representation as to the accuracy or fitness for purpose of any material on this web site or the reliability of the access to this web site. In no event do we accept liability of any description, including liability for negligence, for any damages or losses (including, without limitation, loss of business, revenue, profits, or consequential loss) whatsoever resulting from use of or inability to use this web site. Stephenson Marine makes no warranty that this web site (or web sites which are linked to this web site) is free from computer viruses or any other malicious or impairing computer program. The pages contained in this web site may contain technical inaccuracies and typographical errors. 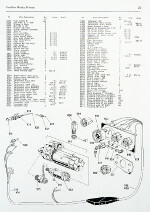 The information in these pages may be updated from time to time and may at times be out of date. We accept no responsibility for keeping the information in these pages up to date or liability for any failure to do so. This web site contains links to other web sites which are not under the control of and are not maintained by Stephenson Marine. Stephenson Marine is not responsible for the content of those sites and provides these links for your convenience only, but does not necessarily endorse the material on these sites.